The Wii U is making the headlines today, but what about the old SNES? That was making waves at E3 too. 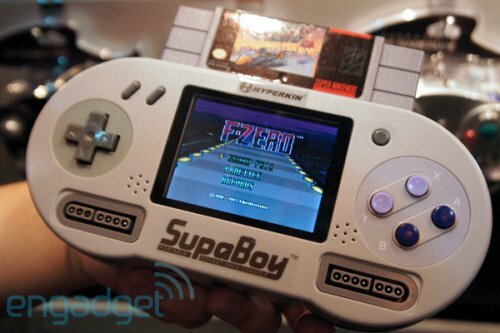 The classic SNES has been reborn as the SupaBoy, from Hyperkin. 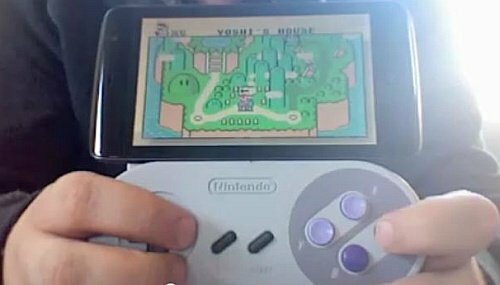 It’s a handheld version of the old console that will let you get your portable old school game on. The image is an early prototype, but we wouldn’t mind having it in this form at all. The plan is to ship by the end of the year for $79.99. Sign us up. Check out this Dell Streak with an SNES controller dock. The Dell Streak’s ability to work with standard USB keyboards also allows it to work with a modified SNES controller. We never thought we would see the day when these two gadgets combined. The controller has basically been turned into a keyboard. This one comes from modder 0TheRain0. Yes, it is fully functional and totally awesome. This is the coolest mod we’ve seen in a while. Imagine if the old SNES controllers had accelerometers inside. You won’t have to imagine any more. Someone with some extra time on the hands has done it. This controller has been programmed to play Portal. You can watch a video of the controller in action here. Obviously it can be programmed to play other modern games as well. Pretty neat. I can think of a few PS3 games I’d like to try it with. The B.O.S.S. 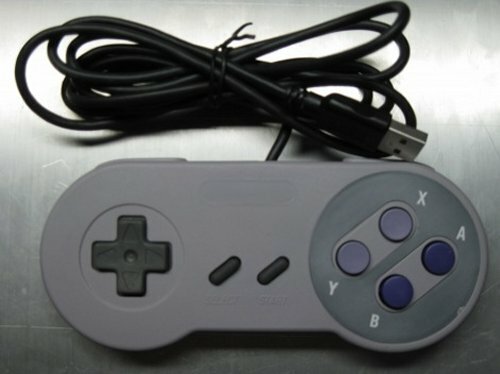 controller from Performance Designed Products, is not really a controller, but a shell made to look like an SNES controller. It slides over your Wiimote and turns it into a huge controller fit for giants. We can’t imagine that it’s actually usable due to the size though. 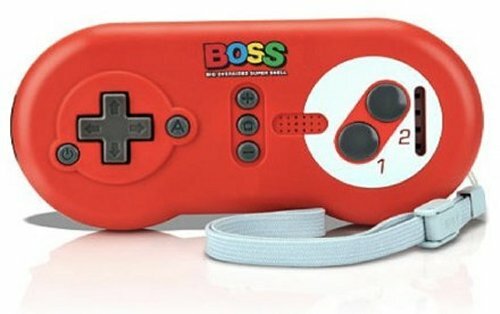 Still for the big handed among you, it’s only $10 and hey, the name is done up in Mario colors, so it can’t be all bad right? 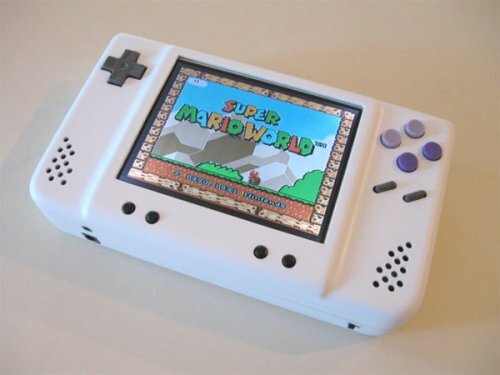 If you’re like us, you’ve been wanting one of those SNES portable mods, but you don’t want to build one. Well this is for you. Yobo is offering the FC 16 GO. Their take on the FC Mobile II. Just slide your SNES cartridges in for some retro game play on the 3.5-inch screen. 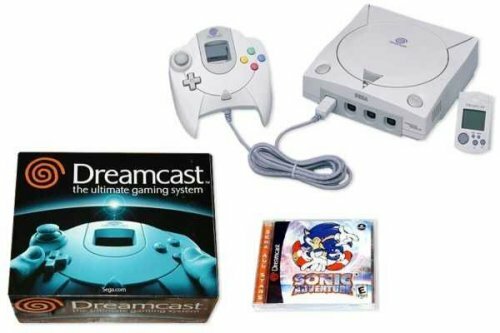 For $60 you also get a built-in joypad, TV outs and two wireless 2.4Ghz controllers. The device is powered by a replaceable, rechargeable battery or the included AC adapter. Your eyes will never be the same after taking in this abomination. 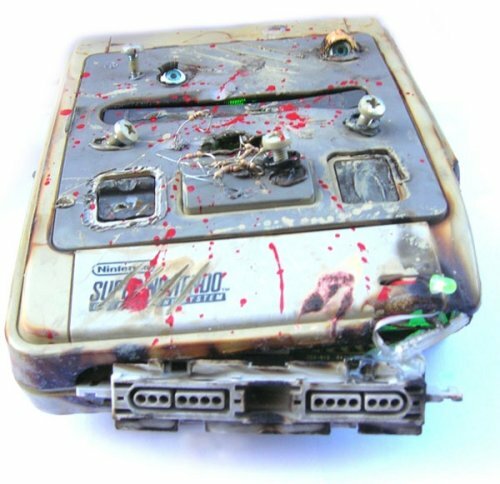 Someone should put it out of it’s misery, but since it is fueled by the souls of all your past dead Mario lives, it remains undead. You can’t kill it, you can’t reason with it and it’s ugliness can not be stopped. At night this thing even glows in the dark, looking spooky as hell, where it comes from. It’s still fully functional. It’s appropriately called the Game Over SNES. The cartridge even fits flush with the top of the unit. All mods should aspire to look this good. It even looks comfortable to play. Even the wiring inside is a sight to behold. Well done Marshall. This casemod combines the shell of an old SNES console with the brains and guts of a modern PC. Anytime we see a CD sticking out of an SNES cartridge, we can’t help but smile. 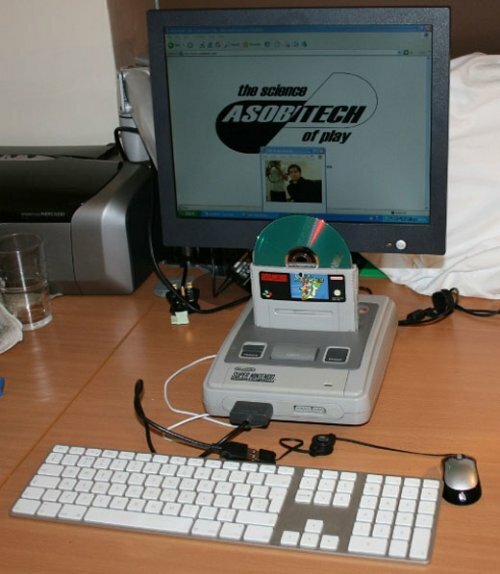 Modders quangDX and DuPPs took an old Super Nintendo and merged it with an Acer Aspire One A150 laptop. They call their new creation the aaSNES1. And yes, they managed to mount a slot-loading DVDRW drive inside of the Super Mario World cartridge! But it wasn’t that simple. They didn’t have enough room inside the UK model SNES cartridge, but managed to cut things apart enough to get the drive to work. The eject button even ejects the DVD. We’ve covered many portable retro game systems, but this one covers nearly nearly every gaming system you care about. It plays 8-bit, 16-bit and 32-bit titles from 7 different game platforms. 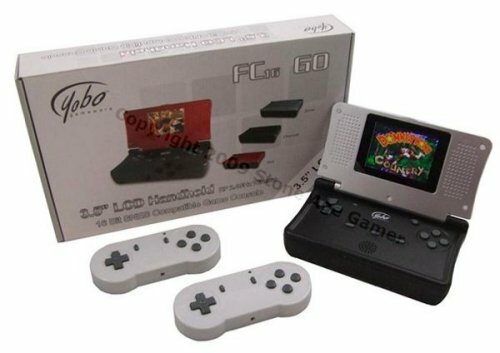 The CVFH-N03-4G (aka the Dingoo A320) can play thousands of games from the NES, Super Nintendo, Sega Genesis, Nintendo Gameboy Advance, SNK Neo-Geo consoles, as well as the CAPCOM CPS1 and CPS2 arcade systems. The system features a 2.8″ QVGA (320×240) display and can also output to your TV. Pretty sweet no? You’ll just need some ROMs. The system will hold up to 4GB of games and other media files and can even play some Flash-based games. There’s also a mini-SDHC slot in case you want to up the storage. It can play your audio and video files in a wide variety of formats and you’ll get an FM tuner, voice recorder and e-book reader too. 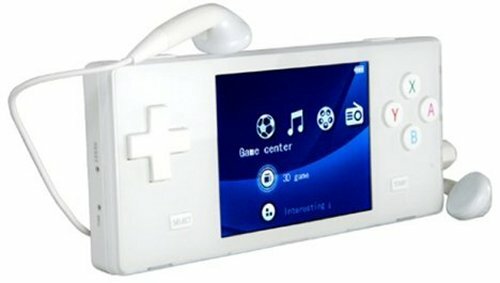 Chinavasion’s latest offering is a retro portable gaming system: The Multi Platform Portable Gaming Entertainment Station. It sure doen’t look like the standard DS. 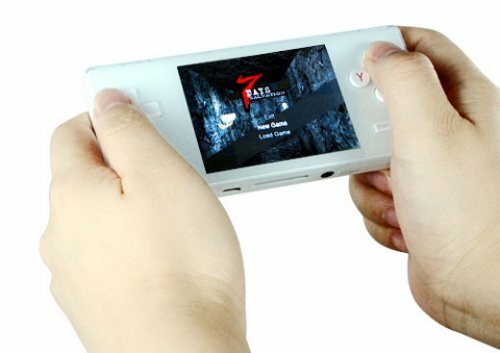 This handheld will handle ROMs from NES, SNES, Sega Genesis, Game Boy Advance, Neo-Geo and selected Capcom arcade systems thanks to its 4GB internal memory. The device sports a miniSD memory card slot for expansion and a 2.8″ display at 320 x 240 resolution. Not that we are condoning ROMs, which are illegal if downloaded from the Net. ROMs are bad. Just say no. This toaster rejects bread in favor of NES titles, which are far more delicious. Created by the same modder behind the Nintoaster, this mod is just as heart healthy. 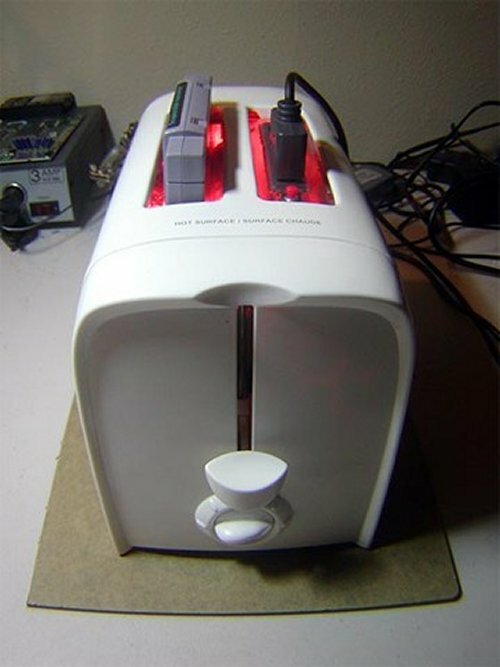 This followup is part toaster, part Super Nintendo, and is perfect for any geek kitchen. We’re hoping that the toaster/console trend keeps on keeping on, because there are still a whole bunch that need to be assimilated. Video below. I know what you’re thinking. That this would be large than your current wallet and make you sit all unlevel, like having George Costanza’s huge wallet. But who cares? This is an awesome geek wallet. 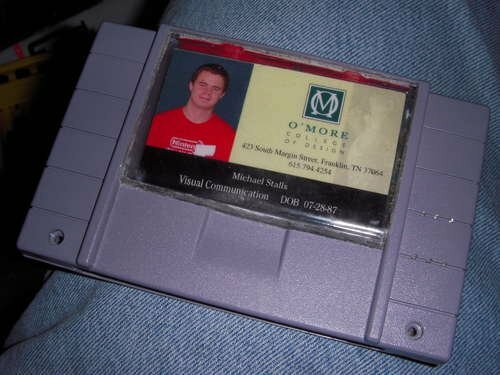 We’ve seen a lot os SNES cartridge mods, but this is a first. The SNES cartridge has been modded to hold a photo ID on the front, but it has also been gutted like a fish and outfitted with a hinge so that you have storage space on the inside. If that isn’t enough, it has an LED that can be turned on and off. It also plays game music and noises. Crazy, right? If you are just aching to hide your cash in one, you can build one of your very own.